Why is it so important to slow down your child’s nearsightedness? 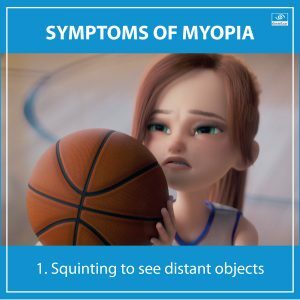 Blurry distance vision but clear near vision…that’s the short and sweet definition of nearsightedness or in clinical terms, myopia. 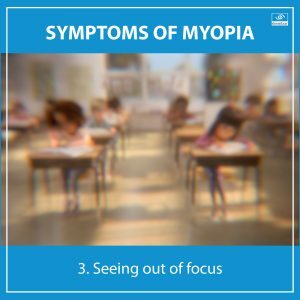 For those of us who have myopia, it may not seem like a big deal. We just wear our glasses and contacts and the world is clear. But, imagine if, when you were a child, your parents had done something that would have cut your adult prescription in half or possibly more? Or, even better, what if they would have done something to PREVENT you from becoming nearsighted? Luckily, for our kids, there are now ways to both prevent and slow down the progression of myopia. Several clinical studies have shown that kids who spend more time outdoors are less likely to develop myopia. That’s right, we need to encourage our kiddos to spend less time on video games and tablets, and get outdoors. If your child is already myopic, there are contact lens options that can slow down the progression by at least 50%! These options include overnight rigid contact lenses and daytime soft multi-focal lenses. Both options provide similar efficacy, it just depends on which better suits the child. If contact lenses don’t seem like the best option for your child, there are specifically designed glasses and even eye drops that are also effective. So, why does it matter if my child becomes nearsighted? Currently 30% of the world’s population is myopic, but by 2050, it is estimated that 50% of the world’s population or 5 billion people will be myopic! 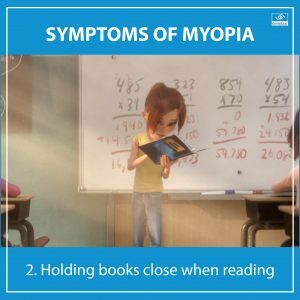 Myopia is becoming one of the leading causes of worldwide blindness because myopic patients are much more likely to develop glaucoma, cataracts, a retinal detachment and myopic macular degeneration. If that’s not enough of a reason, a growing myopic prescription has a significant economic and psychological effect on a patient over a lifetime. At Bellaire Family Eye Care, all of our doctors are committed to creating a personalized and effective myopia control strategy for each child. Schedule an evaluation today.